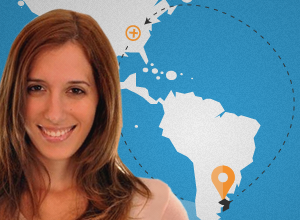 Making Sense’s CMO Nancy Medica has been chosen to represent the International Network “ArgenTIna IT” on the U.S. Check out our post and learn all about the key objectives of this Network. On May 23rd the Chamber of Software and IT Services Companies of Argentina (CESSI) formally announced the names of the two ArgeTIna IT representatives for its new office in the United States. 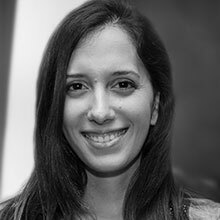 We are pleased to share with you Nancy Medica , Communications and Marketing Manager at Making Sense has been chosen as IT representative together with Javier Delgado from Quadion Technologies. 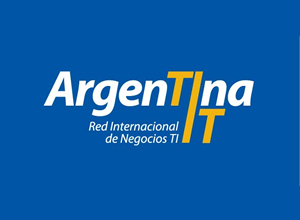 The opening of the International Network of IT Businesses ArgenTIna IT is considered by the company as one of the best ways to intensively promote the exploitation of innovative technology coming out of Latin America. The proposal includes the opening of new offices in strategic destinations including Colombia , Brasil, United States, Chile, Mexico and Buenos Aires, Argentina offering personalized technical advice, and many other benefits for those software companies in Argentina looking forward to successfully exporting its products. Leadership: Representing Argentina’s Software in the U.S. In recent years Making Sense’s CEO Cesar DOnofrio together with Nancy Medica have been eagerly working in partnership with the Argentine Ministry of External Relations and Culture (Ministerio de Relaciones Exteriores y Culto), the Chamber of Software and IT Services Companies of Argentina (CESSI) and Polo IT Buenos Aires, and a non-profit association of Buenos Aires-based software firms. Among the efforts of Making Sense, always determined to offer the latest tendencies in the market to clients around the world, we can mention the conference organized by the company in Buenos Aires, Argentina in 2011 “How to sell It in the US?” where a panel of CEOs of Argentina’s IT companies explained how Argentinean entrepreneurs and small companies could achieve great progress in the United States. In addition to this conference we must also remark the constant effort carried out by Cesar DOnofrio and Nancy Medica to advance nearshoring. Only a year ago they contacted the Argentine Ministry of External Relations and Culture, and in partnership with the Argentine Chamber of Software they carried out an outsourcing mission involving Argentina and the United States. The trade mission made possible to introduce software services firms as well as Independent Software Vendors from Argentina to local business associations and companies in Austin, Houston and Atlanta in the United States. “Making Sense is a company that looks into the future and embraces great innovative ideas” said Nancy Medica, Making Sense’s Communications and Marketing Manager. “This is why we always foster and participate in events like the SXSW Interactive where the brightest minds in emerging technology interact during 5 consecutive days. I had the opportunity to participate in this amazing festival and it was a perfect opportunity to make friends, network, develop new ideas and have fun!” concluded Nancy. 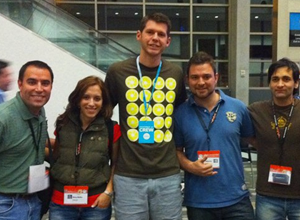 In March of this year at the SXSW Interactive 2013 Making Sense was chosen to present two of Argentina’s best digital marketing products Doppler and Lander at the Argentine Pavilion. This last month and in conjunction with CESSI, Cesar and Nancy have been working intensively on a new trade mission to the United States involving their participation in the 6th annual World BPO/ITO Forum in New York from July 17-18, an event that brings both strategic and operational issues to the fore while providing solutions to address the needs of CIOs, CFOs, CEOs and executive teams. Some of the representatives responsibilities include serving as an important communications, policy, and membership link between all the companies who are part of the International Network of IT businesses. In addition to this and in cooperation with Javier Delgado from Quadion Technologies, Nancy Medica will be a key source of information on activities, programs, and policies carried out in the ArgenTIna IT office located in the United States. She will also make herself readily accessible to individual members of the International Network fostering a positive and useful two-way relationship between the IT companies and the ArgenTIna IT objectives. According to what the CESSI announced in the launch of the ArgenTIna IT, the decision of internationalizing its platform was based on facilitating the insertion and consolidation of Argentine software companies in the most attractive world markets. The members of the non profit organization explained that the new international platform will be exclusive for CESSI active members together with poles and clusters already associated. The proposal includes the opening of new offices in strategic destinations, personalized technical advice, and many other benefits for those looking forward to successfully export its products. The insertion and positioning of the Argentine software companies in each of the the new destinations. The introduction of the Argentine software products abroad capturing new international business opportunities. The establishment of joint ventures partnerships to give valuable advice to the Argentine software companies around the world. Read our post and obtain first-hand information on one of the most interesting workshops! Our CEO Cesar DOnofrio explained why LatAm is an increasingly attractive Nearshore Outsourcing destination.